The consequences of leaks are well known: they are spoiled property, damaged house structures and troubles associated with repairs. Timely and rapid elimination of roof leaks allows to avoid large expenses and prolongs the life of the house as a whole. There are several types of leaks. To find a place where water penetrates, and quickly eliminate the problem, it is necessary to know the nature of the leakage and the reasons for their occurrence. Regular inspections of the roof can reveal defects in the early stages, and simplify the elimination of roof leaks. Rain leaks. The main sign of a rain leak is the appearance during the rain, or immediately after it. Summer “dry” leaks. They appear in warm, dry weather with temperature changes. Flickering leaks. This type of leakage is caused by defects in roofing materials and mistakes made during construction. Flickering leaks appear in any weather. The method for eliminating roof leaks and the types of repair materials depend on the cause of the defect. – breach of tightness due to the appearance of moss, mold. The reason for the appearance of rain leaks is a violation of tightness of junctions, mechanical damage to the roofing, etc. The reason for “dry” leaks is condensate. With changes in temperature and high humidity, it forms even in warm weather. 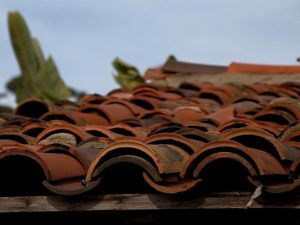 The cause of the appearance of flickering (periodic) leaks are microcracks in roofing materials, violation of the installation instructions, and so on. – the condition of the ridge, the ends and cornices is evaluated. – inspection of drainage and ventilation systems is carried out. – The elimination of flickering roof leaks consists in eliminating installation errors, replacing defective materials, and sealing the junctions. Sealants and repair materials to eliminate roof leaks should correspond to the type of roofing material.